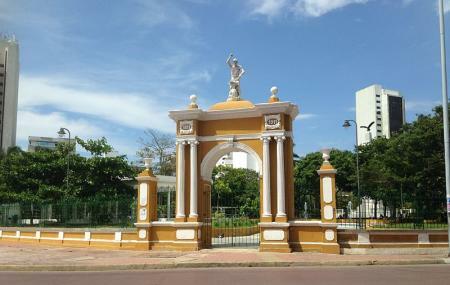 A hundred years after the independence of Colombia was achieved, this park was opened on November 11, 1911. It’s meant to commemorate the fallen who gave their lives for the revolution. With pathways shaded by trees, peppered with statues and monuments, and with an obelisk at its heart, the park is a nice place to hangout. There are a few vendors selling snacks at the rear of the park. It has a sports field and a skating rink. Peer into the trees and you’ll spot some interesting wildlife - iguanas, sloths, red squirrels, and various species of birds. The animals are usually more frequently spotted early in the morning. Sometimes there are performances too.